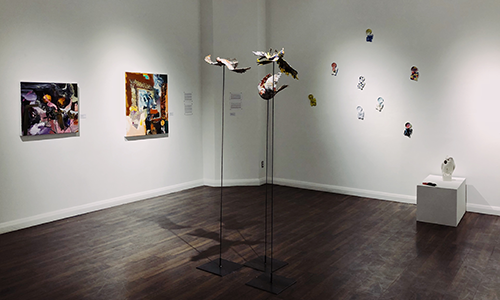 This exhibition space is used as a pedagogical tool for some of the studio classes and to showcase the work of students enrolled in our programs. 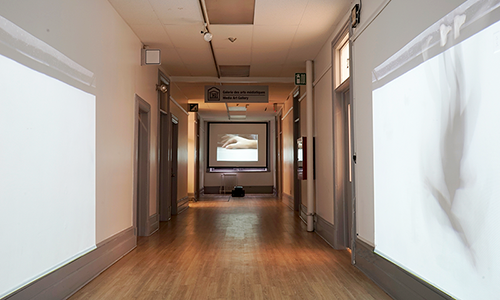 Part of the Visual Arts building on Laurier, this gallery is designed to exhibit both graduate and undergraduate work in projection, interaction and electronic art. 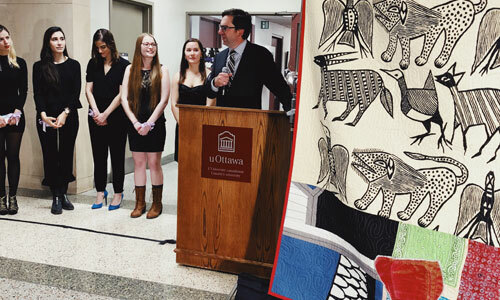 Paradigm[e] seeks to engage students at the University of Ottawa by showcasing their artworks in a commercial gallery space while cultivating interest and discussion amongst students, faculty, staff, and the visiting public. 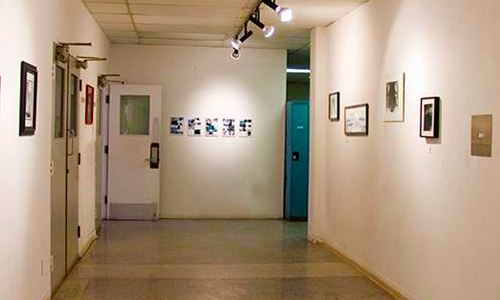 Gallery 5.6 has been in existence since the late 1970’s and is located next to the analog photography classroom and darkrooms. 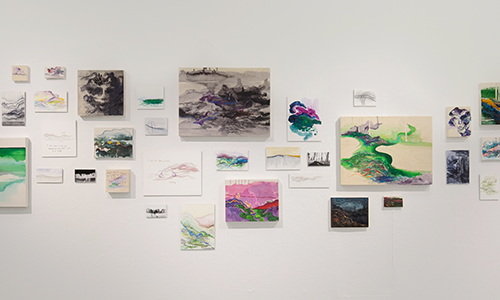 The Department of Visual Arts and the Department of Theatre together provide a large exhibition space located in the main foyer of Academic Hall.